Microsoft Imagine Cup 2012 worldwide final is just around the corner! This year the worldwide final will be held at Sydney, Australia from 6th to 10th July 2012 and we already have some exiting activities like People Choice Award which is already running now. There are more activities waiting in the final like opening ceremony, culture day, prize giving ceremony and different categories competition. This year Imagine Cup have Software Design, Game Design, IT Challenge, Kinect Fun Labs Challenge, Metro Style App Challenge, Windows Azure Challenge & Windows Phone Challenge. Just like last year, this year there are 25 MSPs from around the world in a team call Microsoft Student Partners Social Media Team (MSPSMT) which will report Imagine Cup 2012 worldwide final live through social media channels. I’m also part of the team and we will depart to Sydney tomorrow and get prepare for the event. If you wish to stay up to date what happen in Imagine Cup 2012 worldwide final at Sydney, Australia then stay tune in our official social media channels and we will bring you the latest update of the event from time to time. 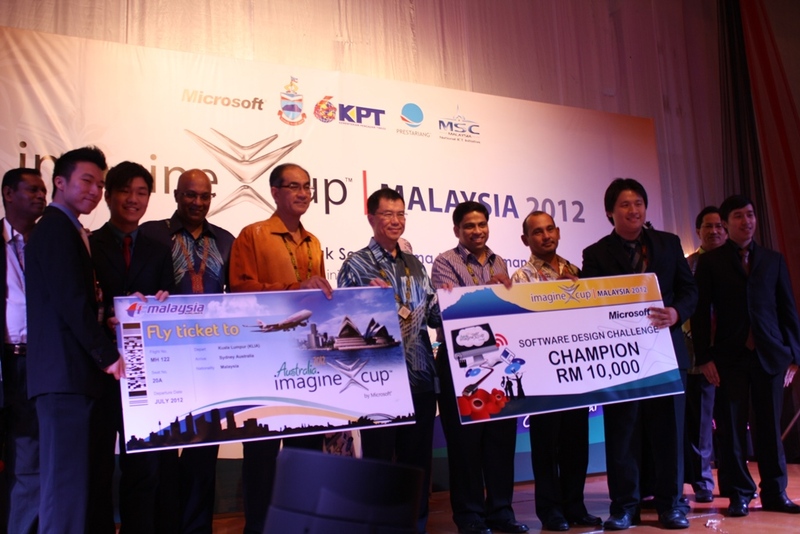 Here is the winners of Imagine Cup 2012 Malaysia local final. Congratulation to all of them. The Rhapsody from UTIC which is also the last year champion (Imagine Cup 2011 Malaysia final) will represent Malaysia to the Imagine Cup worldwide final at Sydney, Australia. Go go Malaysian students and make us proud! You win, we all win (Imagine Cuo slogan). Finally the judgment day has arrival. A series of judging process is waiting for the competitors in order to selected the top 6 finalist out from 30 teams. Then then top 6 teams will be present again in the second round of presentation in order decide which team will be the ultimate winner of this year Imagine Cup 2012 Malaysia final. 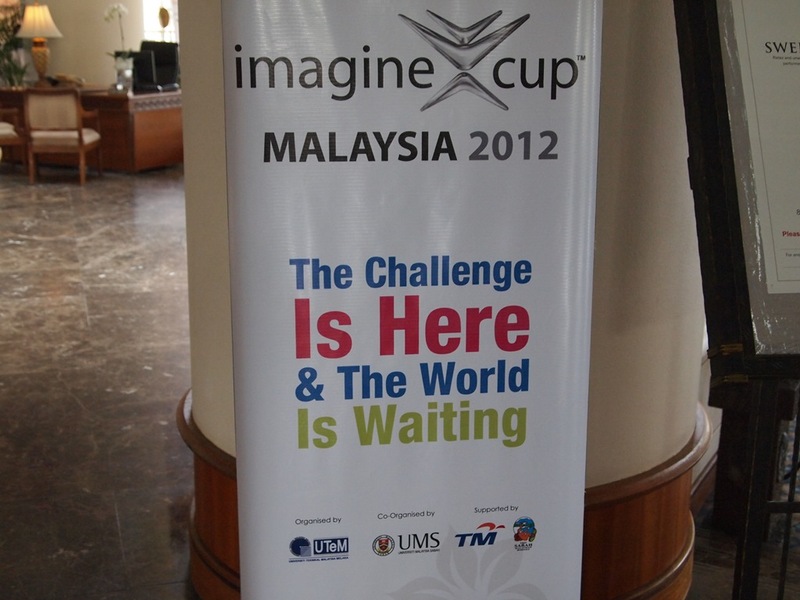 Finally it is the day, the day where the top 30 teams from different universities in Malaysia meet together in Imagine Cup 2012 Malaysia local final at Kota Kinabalu, Sabah. I have never been to Kota Kinabalu, so I’m very excite to attend the Imagine Cup. Of course I’m also very excited to what students bring this year. Imagine Cup 2012 Malaysia local final here I come. Imagine Cup 2012 Malaysia local final is just around the corner. Last year, the Imagine Cup Malaysia local final was held at Kuching, Sarawak where students have a lot of fun there and this year, the final will be held at Kota Kinabalu, Sabah from 16th to 18th of May. 30 teams from different universities and different states which advanced into the semi final round will be there to compete against each other. The winner of the local final will be represent Malaysia to the Imagine Cup worldwide final at Australia, Sydney this coming July 2012. 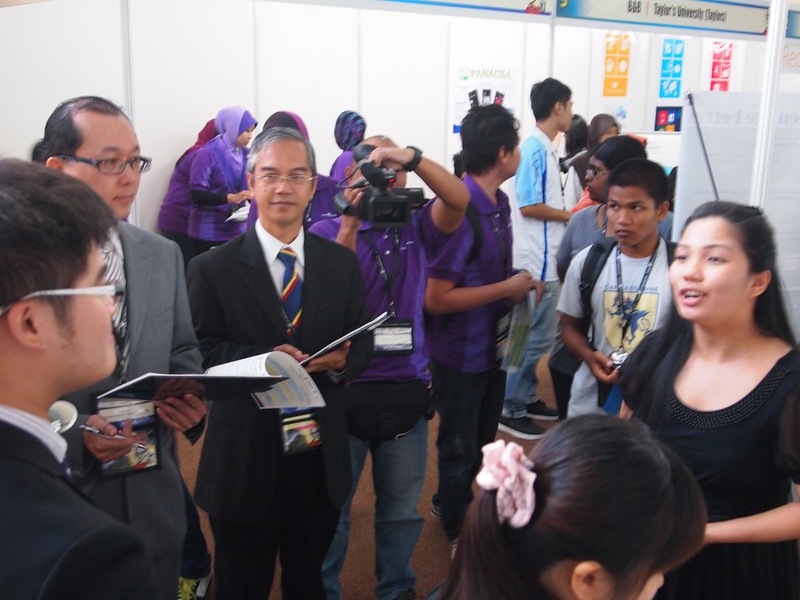 I was there last year in Imagine Cup 2011 Malaysia local final and there was a lot of fun at Kuching. If you interested to know what happen last year, check out the post Day 1, Day 2 and Day 3. I’m very interested to see what students bring this year because the projects that students develop are getting better and better each year and I hoping to see something even more exciting this year. Imagine students developing projects that can solve the world toughest problems, it is not an easy tasks and yet their step up to the challenge given by Microsoft. This year we have 2 Microsoft Student Partners (MSP) whom will be there updating all the latest news about Imagine Cup 2012 Malaysia local final though social media channels. Wendy and I will be telling the story of Imagine Cup 2012 Malaysia final through Facebook, Twitter and Blog. If you are interested on what will be going on at the final or you want to know more about Imagine Cup, then follow us in one of the social media channel or all of the channels.